Remixes of Red Axes' 2016 ode to the sun. Konstantin Sibold takes the original into rave territory with a haunting bassline. Fango (Degustibis) turns it into a rough beat version just to drop the melody in the break for maximum dancefloor mayhem. And the Axes themselves come up with a tropical house version. LP version. 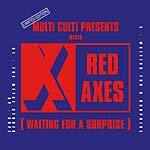 Red Axes have come a long way since the 2014's Ballad Of The Ice (CLICHE 056CD/LP). Tel-Aviv, now a scene and sound that the duo were instrumental in putting on the map, has burst onto the world stage armed with limitless electronic bravado and the city's strong guitar music heritage. Now, the much loved duo return for their sophomore album on their own label, Garzen Records. Unique moments and significant experiences gleaned over the course of an exceptionally intense year left Dori Sadovnik and Niv Arzi with depths of inspiration for their new record. Throughout December 2016, the Axes worked in their Tel-Aviv studio, surrounded by their extended Garzen family; Abrão, Eylonzo Crotch, Gabriel Broid, Adi Bronicki, Thomass Jacksonn, and Iñigo Vontier are all featured, giving life to a new psychedelic cosmic adventure. The outcome: a 12 track album which invites listeners to The Beach Goths world. Red Axes snake their way through genres and periods, clearing an unorthodox highway through conventions, nodding to the past, eyes on the future. Live drums, jangling guitars, fuzzed-out synths, and an all pervasive psychedelia emerge as the backbone of The Beach Goths. Opener "Ride The Sus" leads in with a nonchalant blues indebted bluster; "Tarzan Blues" and "Relaxation (For Your Mind And Body)" call halftime with a bow down to Dead Kennedys and Cramps era proto-punk and rockabilly. While the Axes are quick to jam out exotic post-punk numbers, the land of The Beach Goths is a land of contrasts. The clubs are never far and the drum machines come out on prime time club ready chuggers "Piper Work", "Shir 1", and the album's first choice excerpt "Tantram Power". Dori and Niv's vocal chops feature heavily, standing out on the youthful, kaleidoscopic ballad "Loosen" and hippy trippy song "What Is In Your Head". Closing the album with a warm embrace, helped by Deaf Chonky's lead singer Adi Bronicki, on the psychedelic ballad "Into Your Arms". The land of The Beach Goths is a land of contrasts. 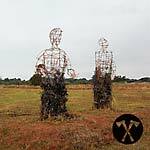 Red Axes have come a long way since the 2014's Ballad Of The Ice (CLICHE 056CD/LP). Tel-Aviv, now a scene and sound that the duo were instrumental in putting on the map, has burst onto the world stage armed with limitless electronic bravado and the city's strong guitar music heritage. Now, the much loved duo return for their sophomore album on their own label, Garzen Records. Unique moments and significant experiences gleaned over the course of an exceptionally intense year left Dori Sadovnik and Niv Arzi with depths of inspiration for their new record. Throughout December 2016, the Axes worked in their Tel-Aviv studio, surrounded by their extended Garzen family; Abrão, Eylonzo Crotch, Gabriel Broid, Adi Bronicki, Thomass Jacksonn, and Iñigo Vontier are all featured, giving life to a new psychedelic cosmic adventure. The outcome: a 12 track album which invites listeners to The Beach Goths world. Red Axes snake their way through genres and periods, clearing an unorthodox highway through conventions, nodding to the past, eyes on the future. 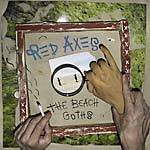 Live drums, jangling guitars, fuzzed-out synths, and an all pervasive psychedelia emerge as the backbone of The Beach Goths. Opener "Ride The Sus" leads in with a nonchalant blues indebted bluster; "Tarzan Blues" and "Relaxation (For Your Mind And Body)" call halftime with a bow down to Dead Kennedys and Cramps era proto-punk and rockabilly. While the Axes are quick to jam out exotic post-punk numbers, the land of The Beach Goths is a land of contrasts. The clubs are never far and the drum machines come out on prime time club ready chuggers "Piper Work", "Shir 1", and the album's first choice excerpt "Tantram Power". Dori and Niv's vocal chops feature heavily, standing out on the youthful, kaleidoscopic ballad "Loosen" and hippy trippy song "What Is In Your Head". Closing the album with a warm embrace, helped by Deaf Chonky's lead singer Adi Bronicki, on the psychedelic ballad "Into Your Arms". The land of The Beach Goths is a land of contrasts. 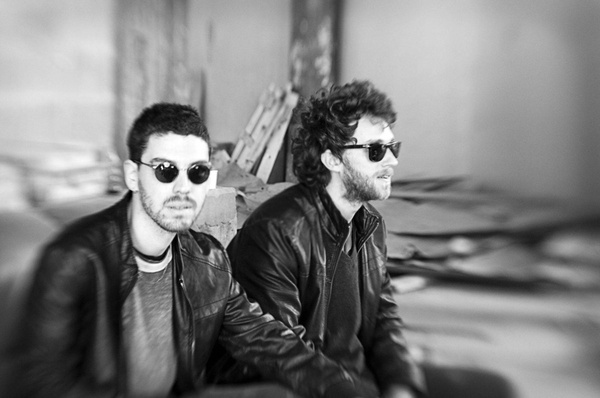 Red Axes debut on Endless Flight with the killer tropical house of "Bubble Cat." B-side "Ha Jaka" is crazy, dark, trippy stuff. 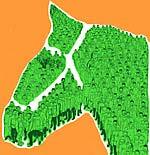 If you like the production of Barnt, you will love it. 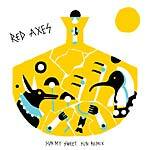 For Correspondant's 50th release, they present the return of Red Axes to the label. Their 2013 hit record Camino de Dreyfus (CORR 016EP) helped propel both the label and the artist in to the established figures that both are today. "Avalon" combines everything that's good about the Axes, with their signature new-wave sound taking in the tropics, but skewed through a middle-eastern kaleidoscope. "Sequência Astronomical" takes everything deeper, darker, and weirder than they've previously ventured, showing the huge growth in their confidence. Rounding off the package is a previously unavailable instrumental version of "Camino de Dreyfus". 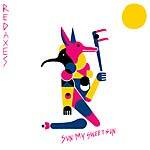 Red Axes (Tel-Aviv-based producers and DJs Dori Sadovnik and Niv Arzi) follow a string of releases on labels like Multi Culti, Crosstown Rebels, Hivern Discs, and their own Garzen with Sun My Sweet Sun, their first release on Permanent Vacation. With a background as members of post-punk band Red Cotton, Sadovnik and Arzi often combine live instruments with techno elements, blurring the boundaries between songs and tracks. Here they add a tropical facet to their sound for an EP of percussion-filled, sun-drenched club music. 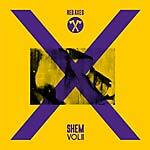 Tel Aviv's Red Axes open the second installment in their Shem series, following Vol. 1 (CLICHE 059EP, 2015), with the hypnotic "Shem"; its brilliant use of space and subtle melodic variations recalls timeless film scores in the spirit of Ennio Morricone's work. With its guitars, live percussion, and keyboards, "Oh Key" is a throwback to Red Axes' early sound. "Sweet John Gang" layers psychedelic melodies on an understated groove of heavily treated guitar and frequency-oscillating synths. The syncopated beat of the highly danceable "More More and More" lets treated drums, a fuzzy bassline, and synth stabs breathe through the mix. Israel's hottest exports follow excellent EPs on Hivern and I'm a Cliché (CLICHE 059EP) with Waiting for a Surprise -- rich, deep, trippy, and organic, yet precise and lethally effective in the club. "Waiting for a Surprise" builds around a mid-tempo disco bassline with tough percussion and rugged synth stabs, but it's the eerie vocals of Brazilian collaborator Abrao that bring everything together. "Hope (feat. Zidan)" kicks off with resonant, delayed toms and adds a haunting howl and synths before dropping into a wild, clanging, carnivalesque frenzy. "The Metal Bender" slows the tempo but ups the vibe into an elated, slow-burning space-disco anthem. 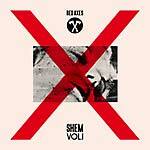 After their critically acclaimed 2014 LP Ballad of the Ice (CLICHE 056CD/LP), Red Axes present Shem Vol. 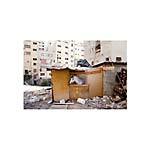 1, the first entry in the Israeli duo's Shem series on I'm a Cliché. Blissed-out psychedelic track "Na Da" almost sounds like The Jesus & Mary Chain making techno in 2015. Afro-jazz-inspired "Balma" has an unmistakable house feeling that's enhanced by Portuguese crooner Abraõ. Recorded with Zidan, ecstatic cut "Nu" is a prime example of Red Axes' ability to make club-ready tracks out of organic elements. "Spider Feel" conjures subtle ethnic and cosmic vibes with tape delay, spring reverb, and other vintage effects. LP version. Red Axes is Niv Arzi and Dori Sadovnik, two young men who have always lived in Tel Aviv and have been making music together since the noughties. Ballad of the Ice is their debut album. Their artistic travels have taken them from the rock scene to the dancefloors, and to creating an album. More than a summary, this LP is an invitation to discover a singular musical identity: a ballad of the ice, a song as light as love and cold as a tunnel, springy as a dance step and deep as nostalgia. Originally, the two young men were part of the band Red Cotton. Their musical obsessions were very distinct and have never really left them since: post-punk, new-wave, synth-pop, gothic rock, Italo-disco and all the other styles with double-barreled names that flourished in the underground of the Western world at the turn of the '70s and '80s. They were barely born then, and Israel was hardly a promised land for these musical trends. Nonetheless, today the people who love these styles, at the forefront of which Cosmo Vitelli, founder of the label I'm a Cliché who signed them, recognize Red Axes' talent for creating tracks that are not only impeccably referenced, but also terribly current, in their production and in their intentions. In 2009, house and techno made a noisy entrance into their lives. They were DJs by then and Tel Aviv was all hedonism and crazy parties. Red Cotton was over and Red Axes began. In 2012, I'm a Cliché introduced them into a community of people who enjoyed what the musical press could refer to as "cold-rave." Four EPs were released on the French label that discovered sharp acts such as Yuksek, Azari & III and Simian Mobile Disco. Add to these a bunch of edits that went spinning on everyone's turntables -- remixes and originals that attracted labels such as Kill The JD, Throne of Blood, Correspondant, Clouded Vision, Relish and others -- these built Red Axes' reputation as the makers of solid dancefloor tools. Meanwhile, being resident DJs of the Bootleg in Tel Aviv gave them the ability to broaden their scope. It also allowed them to rub shoulders with some of their favorite DJs, from Ivan Smagghe and Jennifer Cardini to the Cómeme crew. These established DJs quickly became major supporters. But Red Axes didn't get lost in a loop of never-ending clubbing. The extent of their research is evident on the album. Apart from beautiful vocals by Abrão, a member of various Brazilian punk bands of the '80s, Arzi and Sadovnik handled all the instruments and machines. After "Head Like Glass," a pure cold-wave intro, Red Axes take us on a repetitive stroll of light percussion with "Kicks Out of You." Then comes the rock track "Watkins," followed by a brass dub "Only a Clown Can Catch an Axe." The poignant "Papa Sooma" feels like it's coming out of an old cassette player, and "Road to the Hills" is all intimate house feelings. "Neon" will make you feel like you're on the set of an urban Western, while "Candy" is a toe-tapping Mancunian devil. "Bela Lugosi's Dead," a Bauhaus cover, adds a layer of groove in the bat cave, and finally, "Dreams Like a Tale" closes the album in a psychedelic mist. Red Axes is Niv Arzi and Dori Sadovnik, two young men who have always lived in Tel Aviv and have been making music together since the noughties. Ballad of the Ice is their debut album. Their artistic travels have taken them from the rock scene to the dancefloors, and to creating an album. More than a summary, this LP is an invitation to discover a singular musical identity: a ballad of the ice, a song as light as love and cold as a tunnel, springy as a dance step and deep as nostalgia. Originally, the two young men were part of the band Red Cotton. Their musical obsessions were very distinct and have never really left them since: post-punk, new-wave, synth-pop, gothic rock, Italo-disco and all the other styles with double-barreled names that flourished in the underground of the Western world at the turn of the '70s and '80s. They were barely born then, and Israel was hardly a promised land for these musical trends. Nonetheless, today the people who love these styles, at the forefront of which Cosmo Vitelli, founder of the label I'm a Cliché who signed them, recognize Red Axes' talent for creating tracks that are not only impeccably referenced, but also terribly current, in their production and in their intentions. In 2009, house and techno made a noisy entrance into their lives. They were DJs by then and Tel Aviv was all hedonism and crazy parties. Red Cotton was over and Red Axes began. In 2012, I'm a Cliché introduced them into a community of people who enjoyed what the musical press could refer to as "cold-rave." Four EPs were released on the French label that discovered sharp acts such as Yuksek, Azari & III and Simian Mobile Disco. Add to these a bunch of edits that went spinning on everyone's turntables -- remixes and originals that attracted labels such as Kill The JD, Throne of Blood, Correspondant, Clouded Vision, Relish and others -- these built Red Axes' reputation as the makers of solid dancefloor tools. Meanwhile, being resident DJs of the Bootleg in Tel Aviv gave them the ability to broaden their scope. It also allowed them to rub shoulders with some of their favorite DJs, from Ivan Smagghe and Jennifer Cardini to the Cómeme crew. These established DJs quickly became major supporters. But Red Axes didn't get lost in a loop of never-ending clubbing. The extent of their research is evident on the album. Apart from beautiful vocals by Abrão, a member of various Brazilian punk bands of the '80s, Arzi and Sadovnik handled all the instruments and machines. After "Head Like Glass," a pure cold-wave intro, Red Axes take us on a repetitive stroll of light percussion with "Kicks Out of You." Then comes the rock track "Watkins," followed by a brass dub "Only a Clown Can Catch an Axe." The poignant "Papa Sooma" feels like it's coming out of an old cassette player, and "Road to the Hills" is all intimate house feelings. "Neon" will make you feel like you're on the set of an urban Western, while "Candy" is a toe-tapping Mancunian devil. "Bela Lugosi's Dead," a Bauhaus cover, adds a layer of groove in the bat cave, and finally, "Dreams Like a Tale" closes the album in a psychedelic mist. This is Red Axes' fourth EP with the Paris-based boutique I'm a Cliché. It is their last DJ-friendly record (both vinyl and digital) before the awaited release of their first LP entitled Ballad of the Ice. Three original tracks are included, featuring a tune in Spanish in "Candela Viva," some spoken-word on "Kicks Out of You," and finally some unexpected samba beats on the beautiful "Too Late to Samba." Thanks to their incredible technique, their passion for the past and the remote translates into something that belongs to right here and right now.